During Homecoming weekend, students took time during the festivities to attend an Art for Kids event to create artwork as part of community service. The student organization hosted its second art studio event Friday at the Levante building, where most of the university’s art classes are housed. 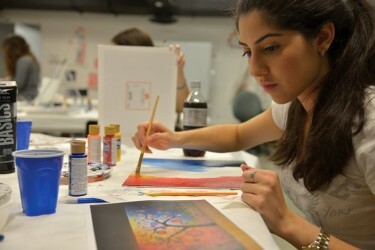 Students created artwork for the club’s spring auction, and artistic talent was not required. Materials were provided for free. “We bring stuff like papers and pads and canvases, and we supply all the paint,” said Kelly Baez, president and founder of Art for Kids. Art for Kids fundraises money for Miami Children’s Hospital by creating original, hand-made art. The artwork is then sold at a spring auction, the club’s biggest event of the year. Baez originally planned to start a nonprofit through the Launch Pad. She wanted to create an organization that incorporated creating art and donating it for a cause. She then thought about making it a community organization, and it eventually led to the creation of Art for Kids. After the organization was approved as a campus club at the end of last spring, Art for Kids began its first semester as an official organization this semester. Participants created anything of their liking, ranging from paintings to ceramics. The cost of the artwork at the auction will depend on the size; larger pieces will be more expensive, and smaller ones begin at $20. 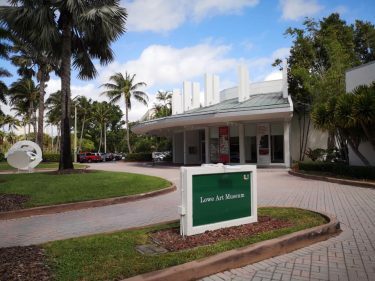 “In March we’re going to have the big spring auction, where hopefully people will come, buy our artwork, and everything that we collect will go back to the Miami Children’s Hospital,” said Sara Marin, co-chair of events. Members of the club decide what specific department of the hospital the money will go to once they approach donating time. They are still unsure what department will be chosen this year, although the Piggy Bank Fund, a program designed to assist parents who can’t afford the medical expenses of their children’s treatment at Miami Children’s Hospital, is an option. When they’re not painting, members also take trips to local children’s hospitals such as Holtz Children’s Hospital, the main pediatric facility at Jackson Memorial Hospital. She enjoys how the hospital trips incorporate involvement with kids while allowing her to combine her career interest in medicine with her love for art. Katherine Jordan, a senior majoring in psychology with a minor in art, is also excited to be a part of the hospital visits. Jordan became a member of Art for Kids this semester. She decided to join the organization because making art with kids is exactly what she wants to do in the future as she hopes to pursue work in art therapy. 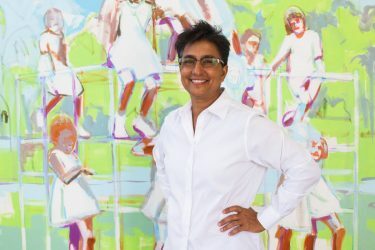 She focuses on creating mostly paintings, although she also takes photographs.